15 Foods To Help You Naturally Balance Your Hormones - Welcome to SarahKesseli.com! 15 Foods To Help You Naturally Balance Your Hormones. The list could go on and on. The degree to which each of these signs impacts my clients is different. But, the one thing they all have in common is a lack of proper nutrition. We all need a good balance of protein, carbs, and healthy fats in our diet. More often than not the nutrient we cut back on first is fat because it has the most calories. We think by cutting out the fat we will lose weight the quickest (which can be true in some instances). By cutting out a significant amount of fat we are doing more damage to our bodies than good. Fat is the most important macronutrient for balance hormones because they are produced from fatty acids and cholesterol. So, when we cut back our fat we deprive our bodies of the elements it needs to keep our hormones in balance. By structuring your meals around a solid foundation of all three macronutrients; carbohydrates, protein, and fats you will allow your body to really begin to flourish. 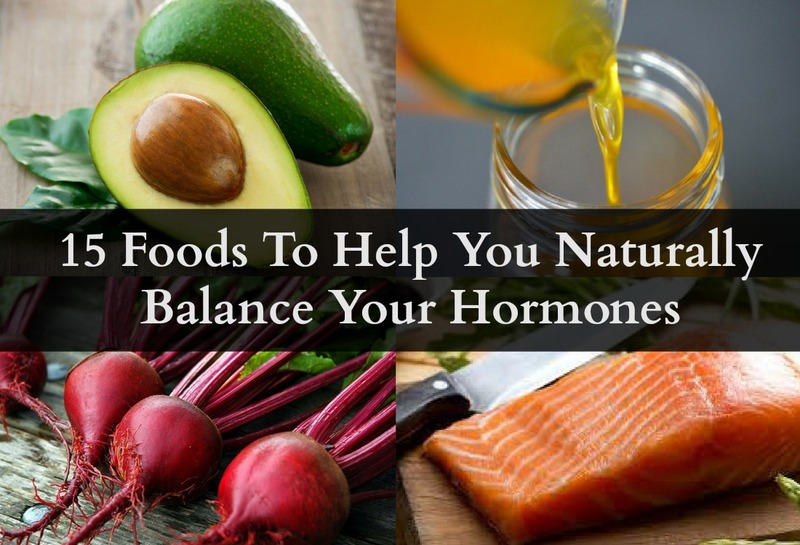 Here are 15 Foods To Help You Naturally Balance Your Hormones. Start by adding one or two and then slowly increase from there. Try to stick with organic, grass-fed or wild-caught. These will be the most important. Try to aim for a variety of healthy fat sources each day. By including a variety of these foods you will be giving your body the nutrients it needs to really flourish. You will be amazed at how quickly our bodies can heal from lack of nutrients with a few small changes daily.